If you’re in the town and need a unique and superb place to enjoy an excellent dinner we present to you the Best Luxury Restaurants In Seattle! Most of these places concentrate on delivering to their guests a unique and distinguished dining experience and offer only the best service! In Seattle thousands of restaurants open every month to attract tourists and even locals to new cuisines! While some of the dining places embody the American cuisine, some have Italian dishes prepared with only the best ingredients on the market! Having your diner has never been so delightful! As you walk in front of these restaurants a complimentary valet parks your car and frees you from the stress of finding a parking spot. As soon as you’re seated you get to choose from a variety of dishes that no matter what flavor they have will leave you with a sweet taste for the rest of the day! Now that we have fed our imagination with that delightful thought here are the Best Luxury Restaurants In Seattle! As you enter the venue, the romantic atmosphere enhanced by classical guitar music will swipe you off your feet into a warm scene. The menu of the lovely restaurant is stacked with perfectly-prepared Italian dishes featuring a range of pastas and antipasti, along with delectable entrees as roasted duck, rack of lamb, beef tenderloin, fresh fish and even sweetbreads. 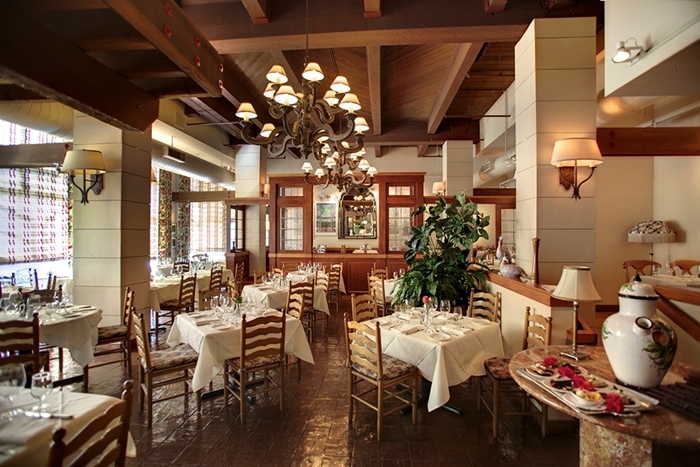 The restaurant’s popularity is not only enhanced by the local residents but also by celebrities. We all know that in the summer, Seattle can get a little hot so for the warmer nights an outdoor seating is also available! Il Terrazzo Carmine is always ready to offer their guests a wonderful dining experience and will make you come back for more!